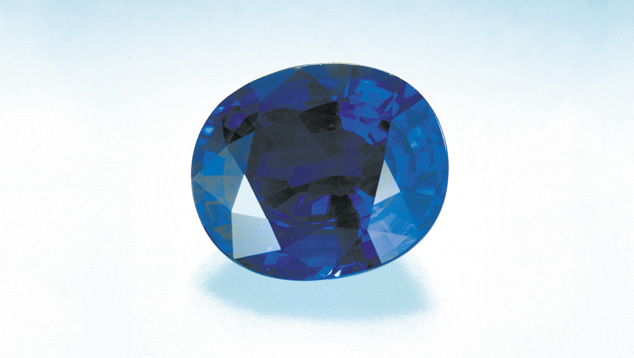 This sapphire from Kashmir has an intense velvety blue color. 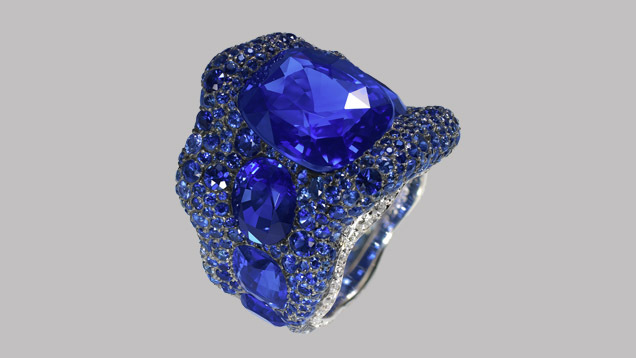 - Courtesy George C. Hartmann, Jr. 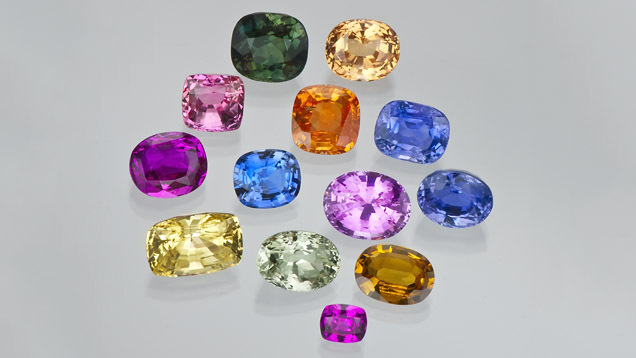 Some pink sapphires have intensely saturated color. 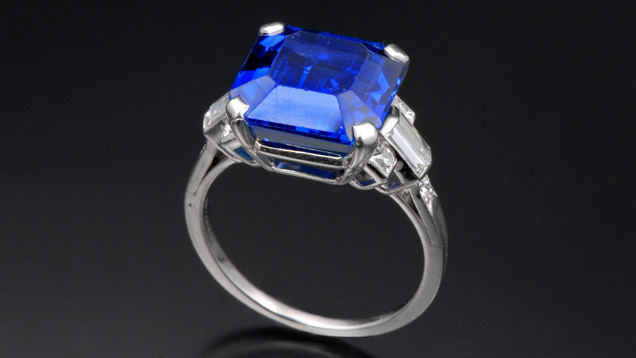 - John Dyer, gem courtesy of John Dyer & Co. 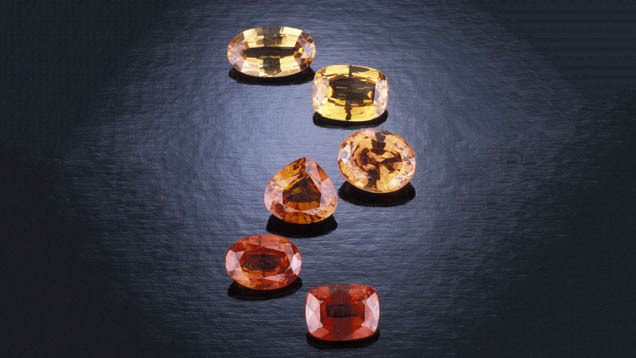 These long, thin, intersecting inclusions of the mineral rutile are called silk. 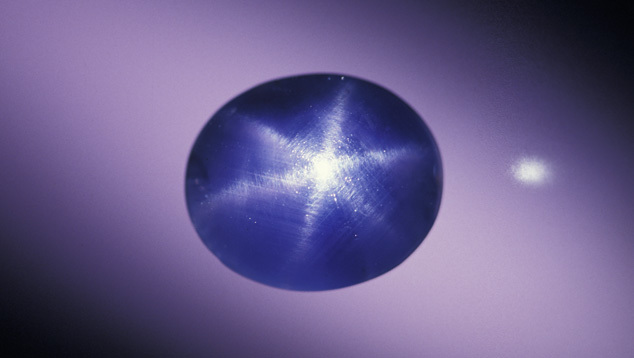 This arrangement can produce the star effect in corundum. 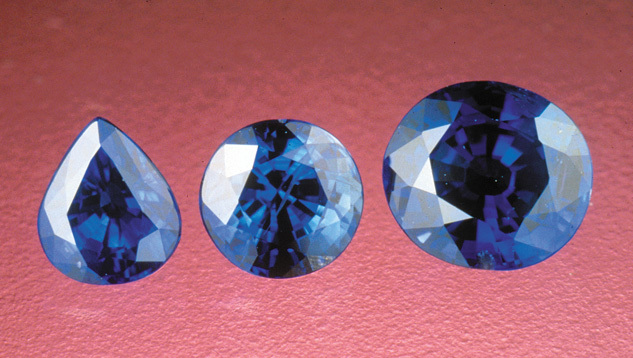 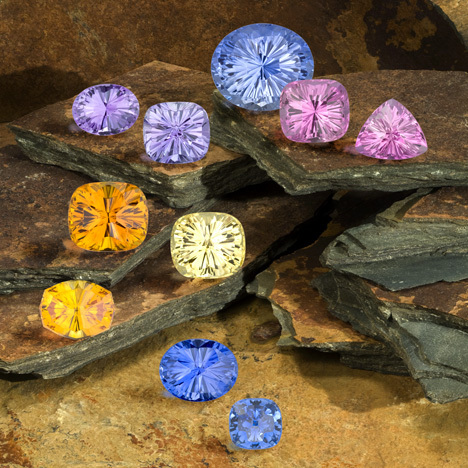 Sapphires are available in all sizes, shapes, and colors.